A Civil War soldier befriends an Indian tribe, eventually being accepted as one of their own. 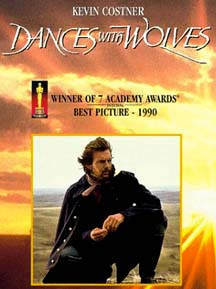 Director Kevin Costner's "Dances With Wolves" is a sweeping tale of white man and Indian relations. The cast includes: Costner, Mary McDonnell, Graham Greeene, Rodney A. Grant, Robert Pastorelli, Charles Rocket, and Maury Chaykin.